The BDC-44 is the compact dust collector for the professionals. 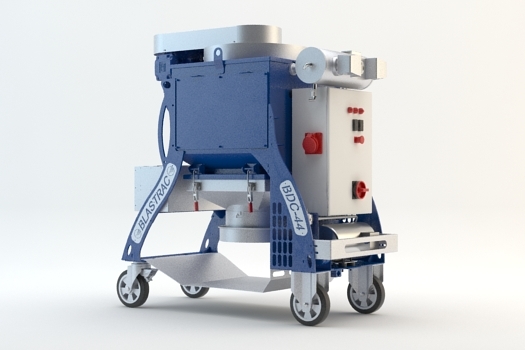 The Blastrac BDC-44 is a heavy duty dust collection system that is designed for its compact power and manoeuvrability. The Blastrac BDC-44 can be equipped with a Longopac bagging system, big-bag system of dust bin kit which is easy to mount and handle. This dust collection system is standard equipped with a M-class cartridge filter or optional H-class filter kit.For a safe, dust free and perfectly clean jobsite Blastrac has designed a full range of consumables and optional items to get the best possible results of your dust collector.